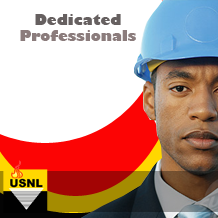 Ultrasprings Nigeria Limited is a leading brand name in pipeline intervention maintenance services. 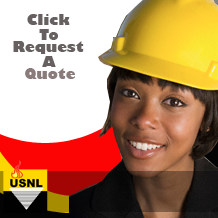 Ultrasprings delivers safe pipeline solutions for onshore and offshore applications. Our experts provide design and fabrication, hot tapping and plugging, line-stopping, valve management, cold-cutting, flange-facing, tank & pipe demolition, bolt torque & tensioning, as well as, non-destructive tests (NDT) services for any pressurized pipeline system, anywhere in the world. Ultrasprings is the preferred Choice for managing every pipeline integrity need be it large or small. 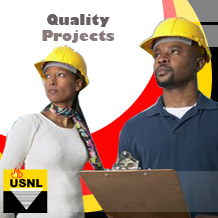 Our brand is synonymous with trusted pipeline services. Ultrasprings continues to develop its broad spectrum of technical experience, turning time in the field and problem solving skills into a continuously refined offering of customized services and state-of-the-art equipment. Ultrasprings adopts some of the most efficient and most trusted technologies used by pipeline operators all over the world, making it possible to meet multiple demands to specification and in detail. Support personnel, including engineers, project managers and technicians are accessible 24 hours a day, ready to provide innovative and customized solutions to meet specific requirements. Our in-house, comprehensive approach to specific project needs means we assist our customers from beginning to end. Ultrasprings ensures pipeline service projects are completed safely and on time with the broadest range of quality products, services and technical capabilities available. Ultrasprings is dedicated to providing the necessary resources to ensure optimum throughput and to extend the service life of assets for pipeline operators. We are committed to providing performance based solutions, delivered on time, anywhere in the world. As we fondly say at Ultrasprings — “we find solutions, we don’t dwell on challenges”.